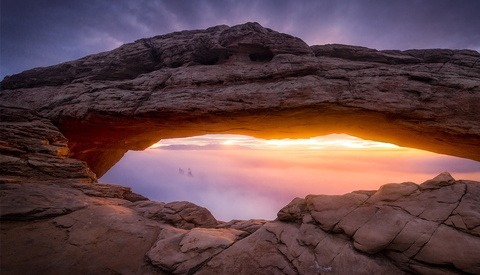 Photography is one of the most powerful tools used in influencing and changing perspectives. All across social media are images that move the emotion range from tugging at heartstrings to enraging the senses. 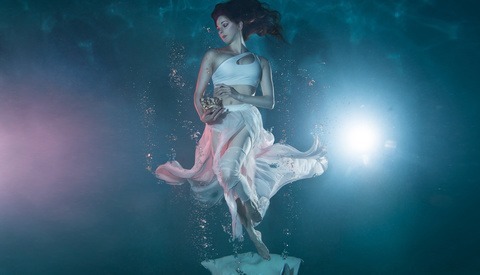 So when one photographer needed to convey the message of the threats to ocean life she turned to photography. 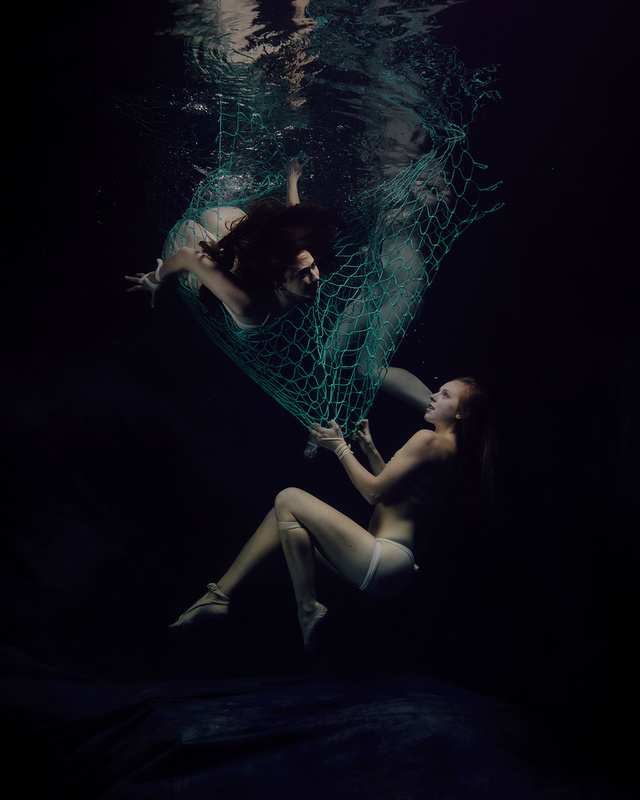 A few months ago in a post titled Jelly Fish Soup, artist Christine Ren worked with a team to create image specific to bring awareness of overfishing. 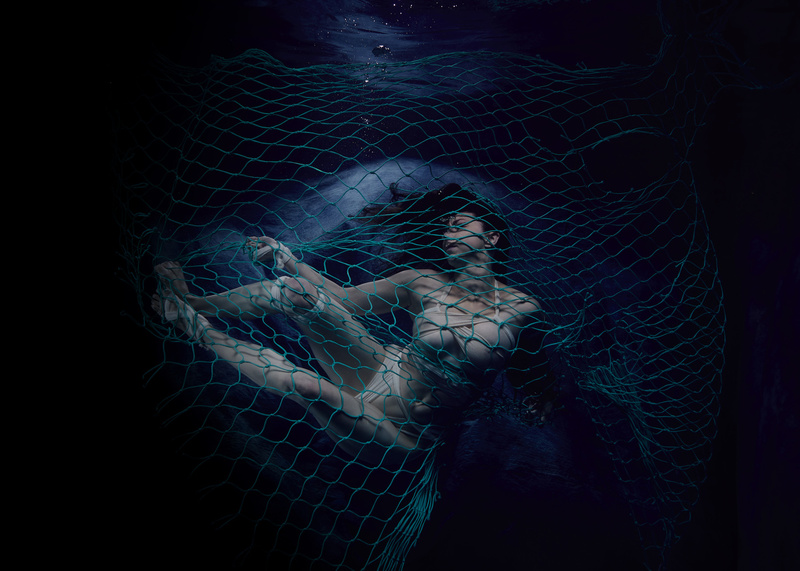 Ren is back at it with a powerful message about discarded fishing nets and the threats they carry. 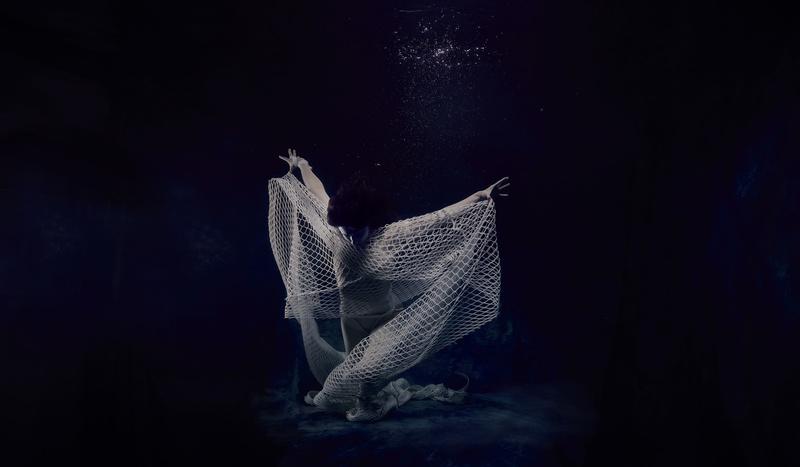 In the video Ren states, "that a single abandoned fishing net can last for up to 400 years in the ocean - tangling and killing marine life and coral reefs." They are called ghost nets however Ren refers to them as silent killers. When fishing vessels abandon or lose their nets or other gear it will cause a major impact for the marine life and ocean ecosystems. With the widespread access to multi social medias, it is not uncommon for images to be seen of ocean life struggling in these ghost nets such as manta rays, sharks, and sea turtles. Ren's work is to help generate awareness of not just what has been done, but rather how people can help stop it and recover what already has taken place. She feels this is not just an ocean issue but a human issue as well. 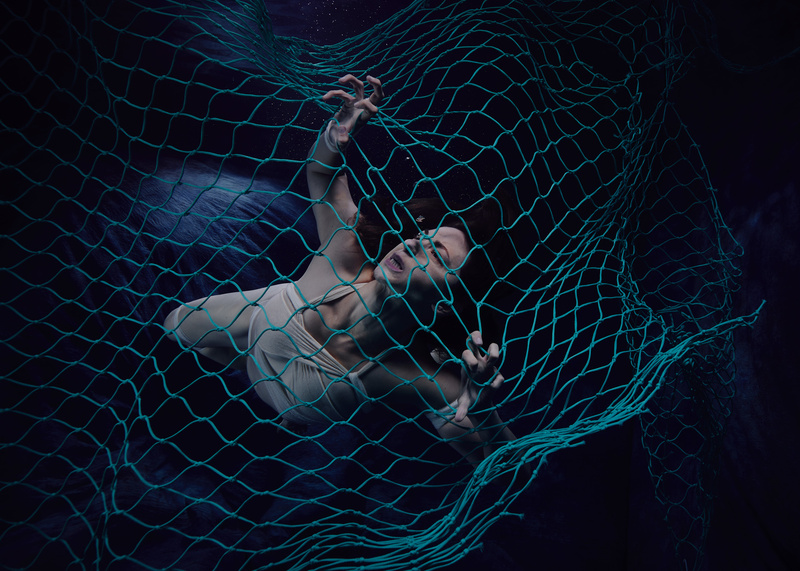 As such, the idea of this shoot was to use people to highlight the struggle, pain, and resignation that these nets cause in the ocean - whether tangling life or being ingested. To create emotionally-evocative, eerie yet awe-inspiring, underwater photos to bring mass attention to this issue, and its solutions. 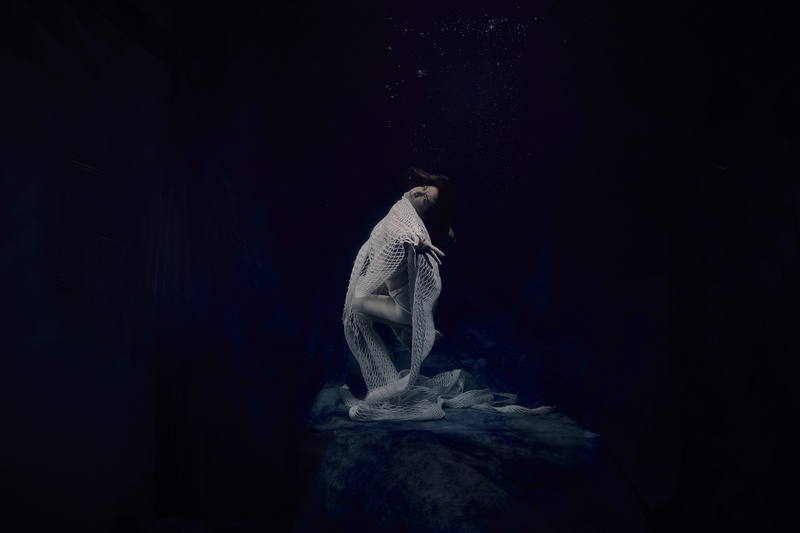 Partnering with photographer Jose Cano, Ren created this series in his underwater studio in Nelson New Zealand. The pair met during a Kickstarter campaign Ren was running for the series which did not get fully funded. With little hope that the series would be obtainable, Cano flew Ren out to his studio for a few shooting opportunities. The safety issues on this particular project were most anticipated and unsettling with the concept of being tied and tangled in the netting. The team created safety precautions as well as Ren stating, "you just have to push yourself past our fears sometimes to make things that matter to you happen." Between the makeup artists, costume design, and multiple models on set, the image of Ren dream was coming to life. Ren continues to pursue ways to bring conservation and awareness to mainstream. She has a second series launching end of July, titled the 11th Hour about raising awareness on climate change. Ren has asked readers to a 30 day challenge to spread the word about business that are turning reclaimed ghost nets into sustainable products. These companies are working to train fisherman to reclaim lost gear and then regenerating nylon waste into new material products. These products range from skateboards to swimwear. Thanks for the feedback. Unfortunately, this issue receives almost no press and photos of tangled marine life have been done and overdone. The idea was to use myself as a human canvas to reflect through human emotion the toll on the ocean. The video alone has 7000 views and 500 shares through Facebook, so it seems to be hitting a chord. The shot is not about me at all... it's about the cause. We have an entire team that donated upwards of 200 hours of their time pro bono to make this happen. Creative work is at its core, a process of setting aside ego and surrendering to the work. Please don't misunderstand. I hope it has an effect. I just have my doubts. I remember about forty years ago Jacque Cousteau said the ocean would be without fish in ten years, as you can see, plainly, he was wrong. Al Gore said 11 years ago the earth would be super toasty warm in ten years and New York would be under water, as you can see he was wrong. These photos are just another example of left wing do gooderism that doesn't help anything or anyone. Really sad to think how many dupes there are in society! And honestly they are terrible, where is the light, I can't see anything they're so murky and very unappealing. WOW! I didn't realize there were so many negative people on Fstoppers. It's hard enough to find something to write about each week without having people tear it down. Jennifer does a great job so give her a little love and support. Patrick, all I can say is that at least these people are doing something about this issue. What are you doing about it? Are you behind any issues? William, I don't believe in global warming either. I'm not on the left. But the best thing that has happened from these cries that the sky is falling is that people are trying to help the environment and hopefully leave it a better place than we found it. Just because you don't believe in this cause doesn't mean you have to be so mean about it. Exactly! While it may not mean something to the masses, it might hit home on a few individuals who have been seeking ways to do something to help the situation. I for one think Ren and her team are doing a great job at getting the word out on how those who want to help, can. Those who do not.. can just read another article and that is completely understandable. Sometimes writing about something other than boudoir is fun and uplifting as well! Thank you for your support Richard! Oscar Wilde said; “the only thing worse than being talked about is not being talked about.” Your article was interesting, so I thought I would comment. That’s a good thing! The article was an interesting read and well written, I thought I would throw in my two cents worth. I certainly didn’t mean to come off as mean, but with a different opinion and the photographs aren’t very good, the pictures need more light. Not at all! I did not take offense in any way! Just love getting the word out on how people can help. Thank you for reading! Thank you Richard. The internet makes it far too easy for all of us to forget our humaness. I always try to make these pieces about bringing good people together to collaborate towards raising awareness for a better world for future generations. The nets cause huge damage and I believe inspiring people to remember their own power to effect change is a worthy endeavor. Just doing something isn't necessarily a good thing. If you do something that's not efficacious, there's a possibility of numbing your audience and distracting from more effective activities. I read a novel, recently, that highlights this very problem without being the focus of the book. Raising awareness, in an obvious way, helps. Honestly, though, I'm not holding my breath for this, or a lot of, causes. With so many that have immediate consequences on people's daily lives, it's too easy to prioritize things like this to the back of the list.